When talking about ‘new hotels’, be it in Cuba, Cameroon or China, it’s always important to make the distinction between (a) entirely new-build properties (b) derelict hotels that have been brought back to life and (c) existing, operational hotels that have simply switched owners and got a new name, new uniforms for the staff and perhaps a lick of paint. The following summary isn’t meant to be 100% comprehensive and is really just a guide to what, in my opinion at least, are the more interesting new, forthcoming and planned Cuba hotels. 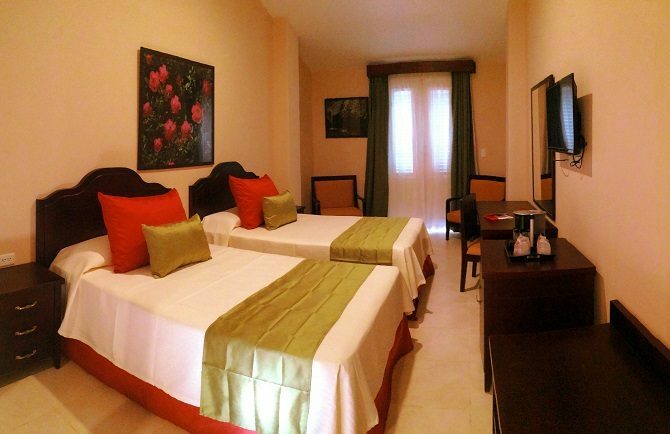 New build hotels are something of a rarity in Cuba, especially away from the beach. Take the Vinales Valley for example – this beautiful part of Cuba, just 2 hours’ drive from Havana, is hugely popular with visitors but hasn’t had a new hotel built for, well, I don’t know – at least 30 years. I can’t really think of anywhere else where such a situation would exist but, heh, that’s half the charm of Cuba. And if you think the inhabitants of Vinales have been complaining, well, they haven’t; the lack of hotel capacity has led to a massive number of casa particulares springing up both in town and the nearby countryside. All these casa particulares (500 plus?) will not be unduly unconcerned by the arrival of the new Hotel Central Vinales which, with just 23 rooms, is hardly going to have a significant impact on the market. That said, as the only hotel in Vinales town (the other hotels are located outside town) and with the best room quality of pretty much any accommodation in the area, the Hotel Central Vinales is still a welcome addition. 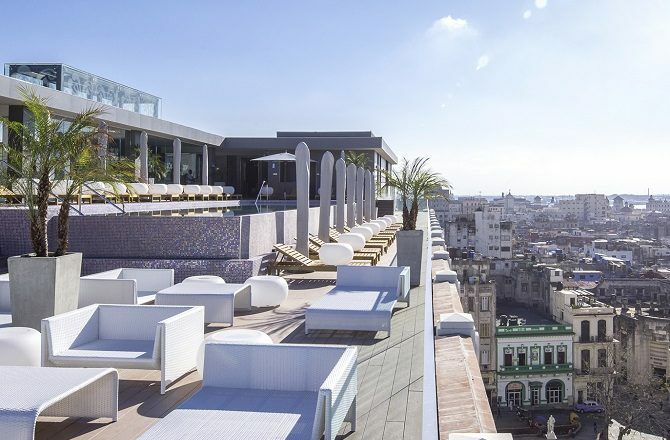 If Vinales hasn’t seen a new hotel for over 30 years, demand for accommodation in Havana, especially Old Havana, is so great that multiple new hotels are required. 2017 finally saw the opening of the 5* Gran Hotel Manzana Kempinski La Habana in Parque Central and, huffing and puffing on its heels is the equally anticipated 5* Iberostar Grand Packard which is due to partially open this August. Located on Paseo del Prado (just around the corner from the Iberostar Parque Central) the 300 + rooms of the new Iberostar Packard are desperately needed. 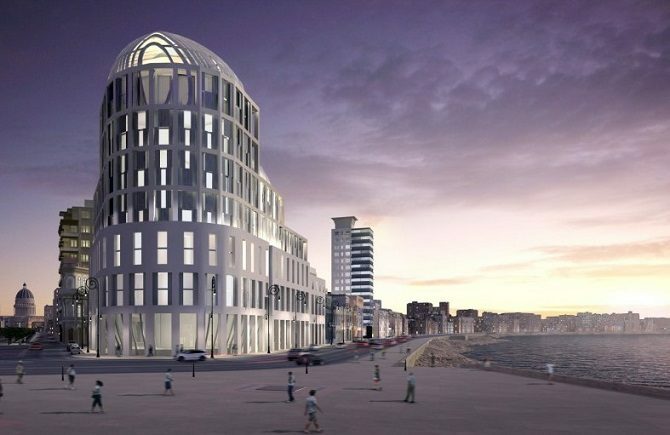 Following on from the Iberostar Packard, and assuming that it opens on time, 2019 will see the opening of another new, nearby 5* hotel. Located on the corner of Paseo del Prado and the Malecon, this new hotel (see top picture) will have 200 + rooms and, although it doesn’t have a definitive name yet (at the moment it is simply known as Hotel Prado y Malecon) will probably be managed by the Sofitel group – possibly the So Sofitel Havana? Beyond these 2 new-build hotels there is, as ever, plenty of talk about renovating a number of existing, derelict hotels in Old Havana. The most likely property to benefit from a complete overhaul is the St Regis but, as anyone who knows Cuba well, the cost and complexity of these projects means that they can easily get kicked into the long-grass. 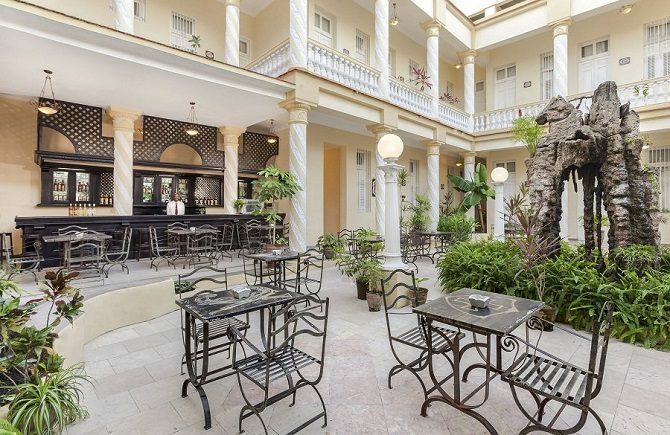 On Cuba’s south coast, the city of Cienfuegos is another destination that is desperately short of hotel accommodation with, until recently, just 1 property located in the city centre, the Union Hotel. Early in the year that number doubled to 2 with the re-opening of the Melia San Carlos, a renovation of an historic, city-centre hotel that had lain derelict for years. Frankly, it’s a miracle it was still standing. 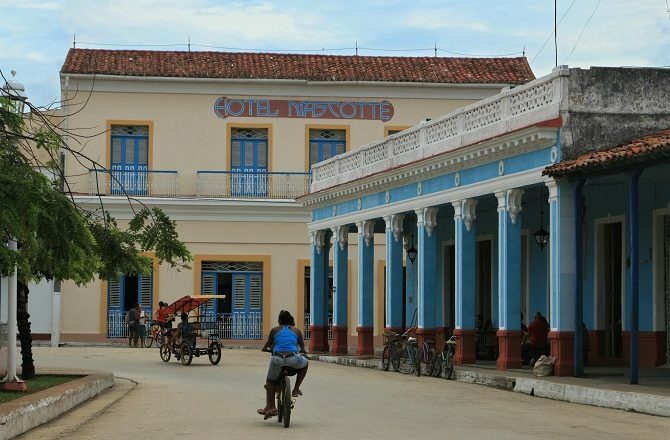 Aside from new or renovated hotels in Cienfuegos, something equally significant has taken place in the city, namely a switch in management at all of its hotels. 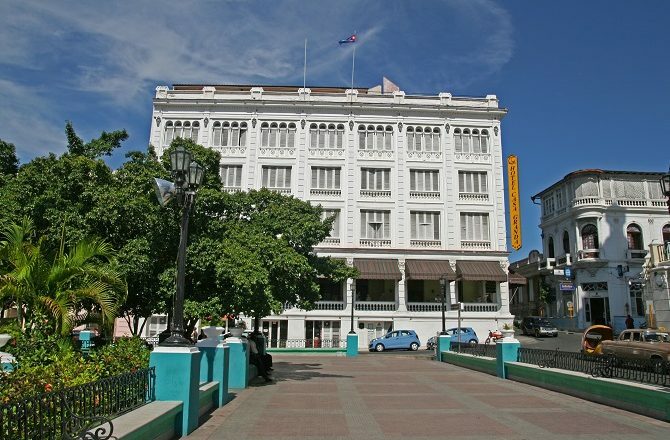 Although the Hotel Jagua was run by French chain Accor for a period, hotels in Cienfuegos have generally been locally run and this has shown in a lack of investment, generally low standards etc. 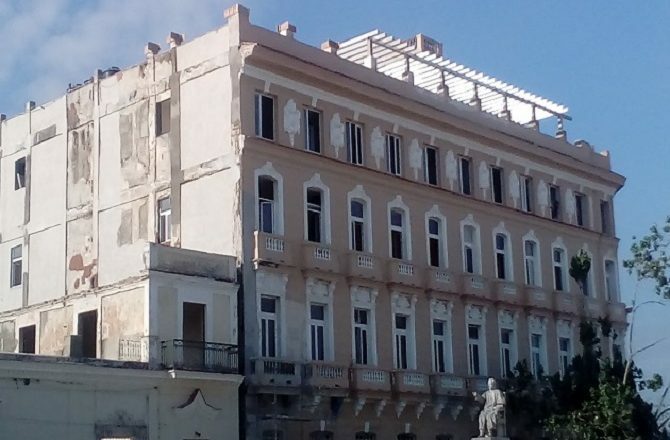 Now, in a complete change of policy, pretty much every hotel in Cienfuegos will be managed by Spanish chain Melia, the largest international hotel company in Cuba. So, we will now have the Melia San Carlos, the Melia Union & the Melia Jagua – the last of these, the Melia Jagua, will also incorporate the small, nearby Palacio Azul & Casa Verde hotels. All of these properties are already benefiting from investment in rooms, facilities and improved staff training. An hour along the coast, the much smaller town of Trinidad has also witnessed its first new hotel in several years. La Calesa hotel is part of the locally managed E chain of hotels in Cuba, focussing on small, heritage-style properties. La Calesa is a renovation of an existing, old building but was never previously a hotel and will add just 12 rooms to the centre of Trinidad, a town where the casa particular really is dominant. Going forward, there is still talk of both the Pansea Trinidad & Hotel Palacio Iznaga being completed this year but I’m not sure who believes that. What is happening, and I really wish it wasn’t, is the commencement of building work on the new 400 + room Melia Trinidad hotel at the nearby María Aguilar beach. When you consider that there are also plans, pretty much next door, for a similarly sized Iberostar Ancon, well, that’s an awful lot more tourists pouring in to Trinidad every day. Heading north through the Escambray Mountains (a beautiful region crying out for a handful of eco-style lodges) brings one to Santa Clara, something of an eternal bridesmaid when it comes to tourism in Cuba. Not without significant history and its share of handsome, colonial architecture, Santa Clara has always been over-shadowed by Havana, Cienfuegos, Trinidad and even Remedios. It’s something of a vicious circle in that, because most visitors to the city simply pass through, there hasn’t been much demand for accommodation in Santa Clara; and without the accommodation to entice visitors to stay…..they pass through. For many years there were no hotels at all in the city centre and, even when the Hotel America finally changed all that, it was (and still isn’t) the most inspiring hotel in Cuba. The re-opening of the charming, colonial-era Hotel Central Villa Clara (sister hotel to the Hotel Central in Vinales) has at last given Santa Clara a heritage-style hotel to attract overnight visitors and, and as with London buses, will be followed this year or next by 2 further properties, the Hotel Floreale & Hotel Florida. 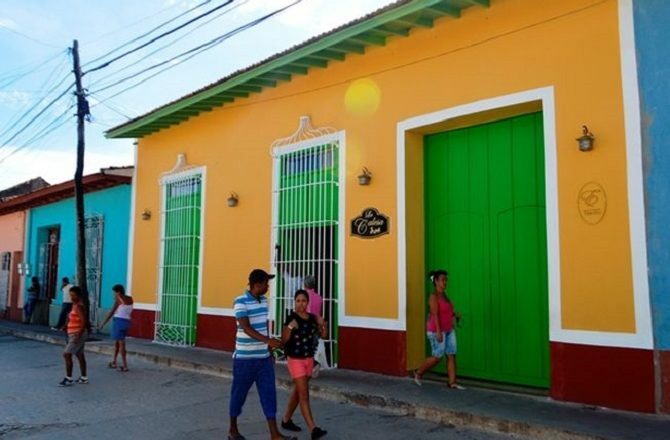 To the east of Santa Clara, the colonial town of Remedios, one of the oldest in Cuba, already has 5, small heritage hotels with 2 more on the way, namely the Hotel Las Leyendas & Casa Bauza with 16 & 11 rooms respectively. I can remember visiting when the Hotel Mascotte was the only hotel in town and finding anywhere else to eat or drink was something of a challenge. Slightly further down the line, and not helped by 2017’s Hurricane Irma, are the projected Hotel Cosmopolitan in Camajuani and the Hotel Comercio in Caibarien. 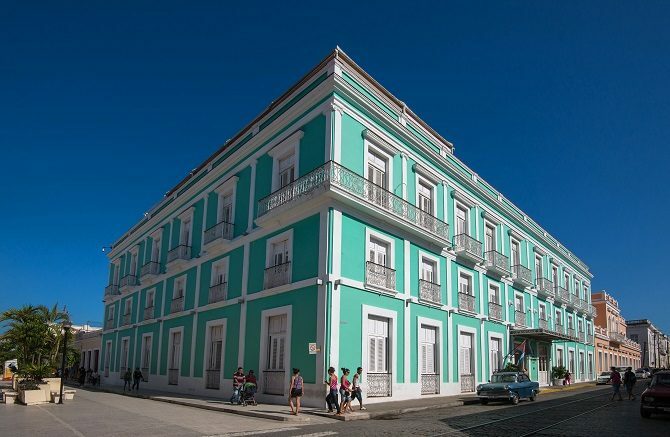 Perhaps the most surprising hotel development in Cuba this year will be the re-opening of the old Sagua Hotel (followed later this year by the Hotel Palacio Arena) in the town of Sagua La Grande. I have been to Cuba some 15 times but – confession alert – was somewhat hazy on where exactly Sagua La Grande was! Sagua La Grande, it turns out, is a sleepy provincial town some 45 minutes’ drive north of Santa Clara and located on the river of the same name. A thriving town in the colonial era, with all the usual grand, crumbling buildings as testimony to a wealthier past, not a lot goes on there now and, to the best of my knowledge, very few foreign visitors go anywhere near it. Build it and they will come? Quite why it has now been targeted for tourist development, I have no idea, although Cuba is a large island and spreading the tourist dollar more evenly can only be a good thing. Related to the re-development of Sagua La Grande, there is also talk that the ‘forgotten’ island of Cayo Esquivel is set to be the next, big Cuban island development. Located some 10kms offshore from Isabela de Sagua, Cayo Esquivel was once home to a spattering of holiday homes and even a campsite but, in recent years, has been off-limits. On the subject of (once) untouched beaches, I recently wrote a feature on the island of Cayo Las Brujas and the extensive hotel development that is taking place there including the recently opened Sercotel Cayo Santa Maria & Las Salinas Resort as well as the forthcoming opening of the new Angsana Cayo Santa Maria. You can read this article in full here including why, confusingly, hotels on Cayo Las Brujas refer to Cayo Santa Maria. As for Cayo Santa Maria itself, it’s hard to keep up on what is open, opening and under construction, such is the level of development that has arrived at its shores over the last 20 years. 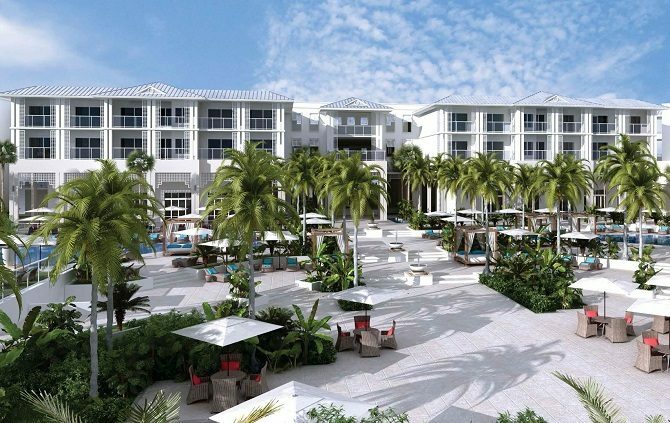 Perhaps the most eagerly awaited new hotel on the island is the 5* Paradisus Los Cayos, set to open sometime in 2018. Heading east, along the spine of Cuba, the city of Camaguey has also seen plenty of change in recent years. Due to its isolated location, basically a long way from anywhere east or west, tours of Cuba have always been ‘forced’ to spend a night in this city. That is not to say that Camaguey doesn’t have plenty to offer. Indeed, as a UNESCO World Heritage site, Camaguey has plenty to offer visitors although, until fairly recently, decent accommodation definitely wasn’t one of its attributes. Recent years have seen the re-opening of a number of small, locally managed heritage hotels such as the Camino de Hierro, El Marques, La Avellaneda, Santa Maria, El Colonial & La Sevillana. More recently, Camaguey’s 2 original, heritage hotels, the Gran Hotel & Hotel Colon, which had both become decidedly grubby, were taken over by the Melia group and have been transformed into hotels where visitors actually want to stay. 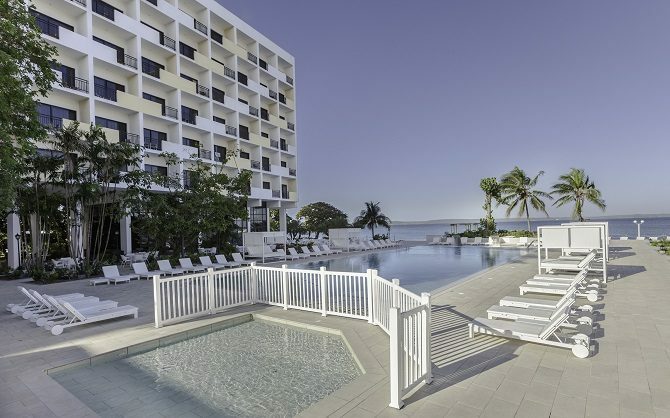 More bravely, Melia have also taken over the 60s eyesore that was the Hotel Camaguey, on the outskirts of the city, and will be re-branding it (after a significant makeover) as Hotel Innside Camagüey. East of Camaguey, between it and Santiago de Cuba, there has been plenty of talk about new and renovated hotels (including El Cobre) but, thus far, very little actual progress. 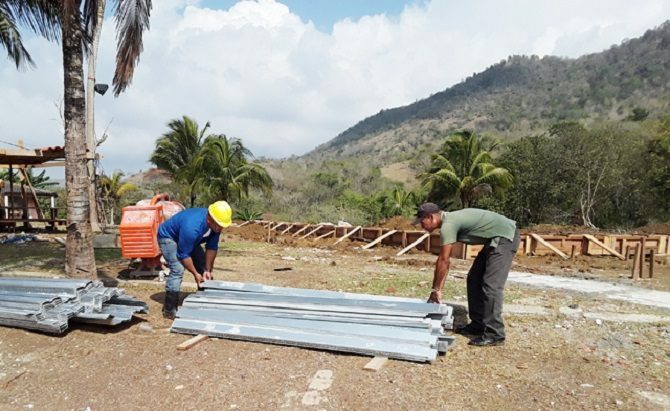 Just outside the small town of Mayarí Arriba, just south of Pico Cristal National Park, work has begun on the Hotel Segundo Frente but, as with Sagua La Grande, this is a region I know very little about. 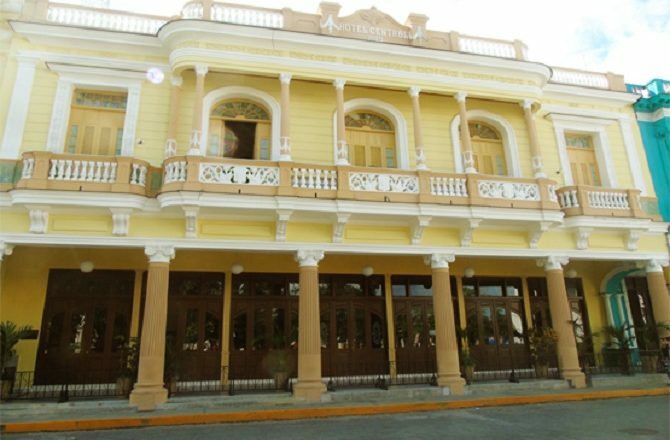 In Santiago de Cuba, the Imperial hotel finally opened in 2017 but, just as with the situation in Cienfuegos (see above), the most interesting commercial development in the city is the switch in management of 3 of the city’s main hotels from local to foreign management, this time Iberostar. Thus, where we once had just the single foreign managed hotel in Santiago, the Melia Santiago, we now also have the Iberostar Casa Granda, Iberostar Imperial & Iberostar Felix. Back at the beach, and Cuba’s long-time dominant resort of Varadero, perhaps the single most eagerly anticipated new hotel anywhere in Cuba is set to be the new Banyan Tree. 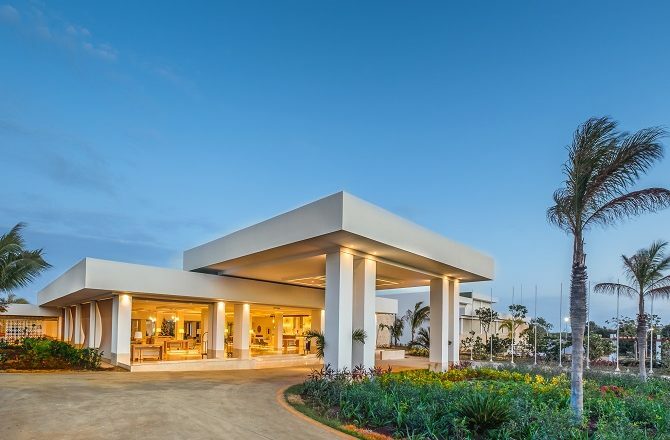 As per my recent feature on Cayo Las Brujas, Singapore-based hotel group Banyan Tree is the first Asian hospitality group to enter Cuba, having opened its first hotel, Dhawa Cayo Santa Maria (picture below and located on the neighbouring island of Cayo Las Brujas!) at the very start of 2017. Dhawa is probably best described as the most value-orientated brand within the company which also includes the Angsana and, top of the pyramid, Banyan Tree brands. 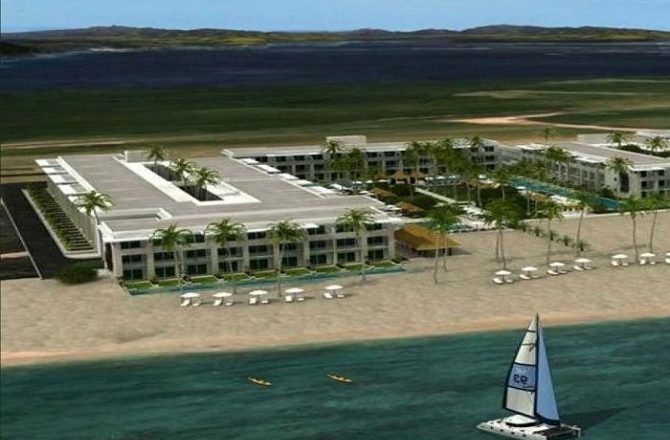 As mentioned earlier in this article, the company is set to open its second Cuban property, the Angsana Cayo Santa Maria (also on Cayo Las Brujas), in Q2 of 2018. However, all eyes are really on Varadero where the company is set to open its first, proper Banyan Tree hotel sometime in 2019 or 2020 (it will also be opening an Angsana Varadero around the same time). 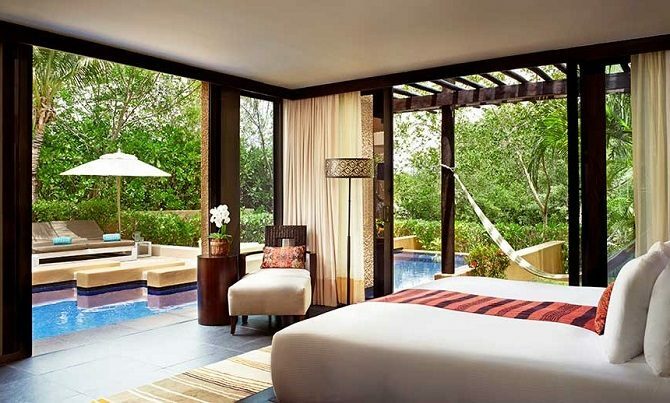 Anyone who has stayed at a Banyan Tree hotel before, either in Asia or even across the Caribbean from Cuba in the Yucatan Peninsula of Mexico, will know that they are truly luxurious hotels, of a level that Cuba simply doesn’t possess at the moment. With the challenges that operating in Cuba brings, will they be able to replicate their usual standards? So far, there doesn’t seem to be a definitive name for the hotel which will probably be called either Banyan Tree Varadero or Banyan Tree Cayo Buba. Why Cayo Buba? 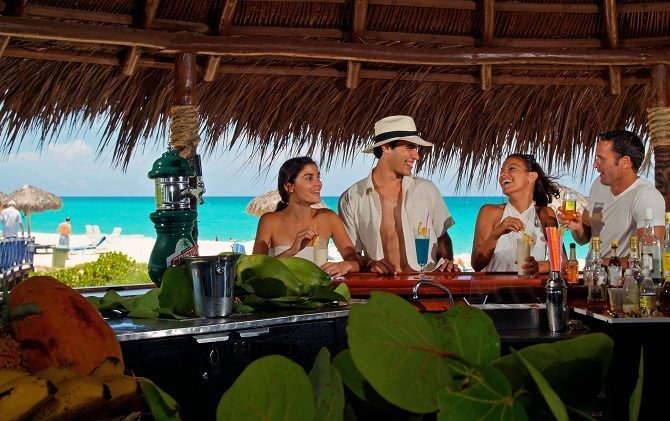 Well, Cayo Buba is a tiny island located just off the eastern tip of Varadero and location for the new Banyan Tree. Frankly, I can’t wait for my invite. ← Previous Post: Detour to Copan – Is It Worth It?